My name is Dirk Fey, I am a Research Fellow with System Biology Ireland at University College Dublin. My particular expertise is the dynamic modelling and analysis of signalling transduction networks in cancer. How can we exploit our preclinical knowledge of tumour biology to better predict the survival chances of cancer patients? 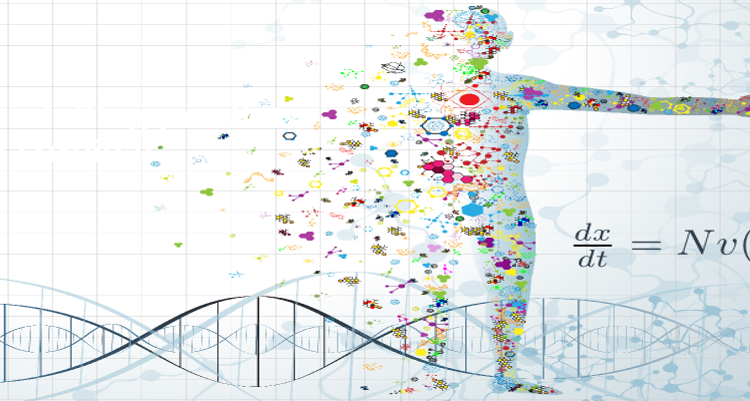 It is exciting because we could use personalised dynamic modelling to simulate the drug responses of each cancer patient, and show that these in-silico predictions add to the prognostic power of the conventional biomarkers. Classical biomarkers based on gene expression measurements can only give us a time-frozen snapshot of a patient’s disease state. But the personalised modelling of the underlying signalling pathway can predict how the disease state changes over time, for example in response to treatment. We wanted to see whether taking the dynamics of cancer signalling onto account can be used to forecast the prognosis of cancer patients using the example of neuroblastoma, a common childhood cancer. The best currently used biomarker in neuroblastoma is the transcription factor MYCN, which is amplified in ~20% of neuroblastoma tumours. This amplification leads to the presence of several copies of the MYCN gene, and is strongly associated with poor prognosis. However, a number of patients without this amplification also fare poorly, for reasons that are not well understood. Our experimentally resolved network model of the JNK activation dynamics successfully stratified patients from three independent neuroblastoma cohorts into groups of high risk and low risk patients. Further, prediction of a high-amplitude, switch-like JNK activation was linked to better survival in both patients with and without MYCN amplification. We used a variety of techniques including knockdown, protein interaction experiments and phosphorylation assays, which helped us to piece together the components of JNK signalling and their responses to various stress stimuli. The next step was to see whether the model can be used to correlate the JNK response of neuroblastoma patients to survival data. >From a modelling point of view, these tumour data are measured parameters in the static, drug-free condition. By simulating the model with these measured parameters, we are able to predict the chemotherapy response for each patient. Basically, the model calculates how the JNK activation changes over time, and what this change means for the patient’s survival chances. I would say the close collaboration between experimentalists, especially Dr David Croucher, now at the Garvan Institute in Sydney, modellers and clinicians, all working together trying to solve the same problem. On a more technical note, getting the nonlinear network structure right is critical, because removing the experimentally resolved positive feedback loop from the model led to large errors in the survival predictions. To the best of our knowledge, this is the ﬁrst time that a computationally derived biomarker capturing the nonlinear dynamics of a key signal transduction pathway outperformed the predictive capabilities of a single marker. The work provides a proof of principle that dynamic models of cancer signalling can be used to predict clinical outcomes. In principle, this opens the door for developing truly personalised predictive and prognostic tools that can be used in the clinic to guide therapy decisions.